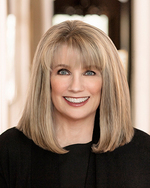 Patte Gilbert has been an agent for over 29 years and has represented over 3,000 clients. She has received countless industry awards and has been a Top Producer, nationwide, for Sotheby's International Realty. She is an Estate Agent, Director of Education and Resources and has participated in a global panel for all of Sotheby's franchisees. Her representation of Sellers and Buyers spans a wide range of clientele that include first-time homebuyers, out-of-state relocations, entertainment industry executives and celebrities. Most importantly, Patte has embraced the internet and social media as the key tools to use for all of her real estate needs as well as for her clients. Patte values her real estate successes, but her personal success comes from helping others. Known in the community as being an advocate of education, she strongly supports the fundraising efforts of the local schools. When not cheering on the teams, she also contributes her time and charitable donations to The Gentle Barn, Haven Hills and Stop Cancer. Realizing that clients have so many choices in selecting an agent to work with, people continue to choose Patte not just because of her ongoing success and respect in the community, but because she always looks out after her client's best interest whether or not they're a new client or have bought and sold homes with her....year after year.